DELRAY BEACH, FL, August 06, 2018 — Marquis Who's Who, the world's premier publisher of biographical profiles, is proud to present James W. Donley with the Albert Nelson Marquis Lifetime Achievement Award. An accomplished listee, James W. Donley celebrates many years' experience in his professional network, and has been noted for achievements, leadership qualities, and the credentials and successes he has accrued in his field. As in all Marquis Who's Who biographical volumes, individuals profiled are selected on the basis of current reference value. Factors such as position, noteworthy accomplishments, visibility, and prominence in a field are all taken into account during the selection process. Former Treasury Department press secretary James W. Donley was Special Assistant for Public Affairs and spokesman in the early 1970's for Secretaries John B. Connally and George P. Shultz. He also served as Connally's press aide when President Nixon named him Ambassador at Large traveling to 10 countries in Latin America, South Asia, Indian sub-continent and Middle East. He later represented Connally at the 1976 Republican Convention when he was a prospective presidential nominee. Donley left Washington in 1974 to start Donley Communications Corporation in New York City and was Chairman Emeritus of the consulting company. In the 1980's and 90's the firm represented many of the large investment banks, institutional money managers and law firms involved in the merger and acquisition boom. Donley also advised then the largest accounting firm Peat Marwick. Concentrating in financial and professional services firms, Donley developed the first outside consulting service for using communication techniques in professional business development. By 1990 he had counseled over 30 law firms, including Milbank Tweed, White and Case and Fried Frank. His longest running financial services clients were Donaldson, Lufkin & Jenrette and Alliance Capital Management. As a result of his Treasury Department experience Donley also represented off shore financial centers such as The Crown Colony of Gibralter. Donley earned an MBA from The Wharton School of Finance in International Business and a BA from Denison University in Development Economics; he also studied agricultural economics at the University of Wisconsin. He started his business career at Time Incorporated in 1960 and rose to assistant to the publisher of Time Magazine. 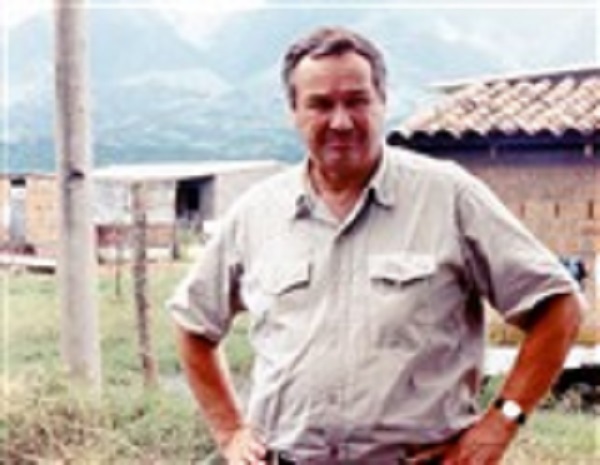 In 1993 he decided to devote more time to economic development in poor rural countries and became an active director of TechoServe Inc. that is funded by the U.S. Agency for International Development. His work there took him to East Europe, Africa and South America. He was a member of the Advisory Council, and served 25 years as a director. In 1995 he went to work for the International Executive Services Corps, also funded by USAID, and became Country Director in Bulgaria where he directed several programs to bring a market economy to this former communist country. In 1997 he was involved in the over throw of the socialist government in Bulgaria and represented the new Democratic Prime Minister to U.S. investment interests. Donley was born in 1934 in Hudson, OH where his family was in the iron and steel business and farming. He worked in both steel mills and farms as a youth and graduated from Western Reserve Academy in Hudson where he was a football and track captain. He later served for 15 years as an Overseer of the preparatory school. After two years at Denison he joined the U.S. Army, was trained as a Military Policeman and assigned to a Military Government Unit in Germany. In 1955 and 1956 he was involved in events in Bavaria and Austria related to the Hungarian uprising. Donley returned to Denison and graduated in 1958. A resident of Greenwich, CT since 1974, Donley served on the Boards of several local non-profit agencies and for 12 years was a Director of Greenwich Chamber of Commerce. He was a member of Round Hill and Belle Haven Clubs of Greenwich. In 2012 he moved to Delray Beach, FL where he belongs to the St. Andrews Club and Gulfstream Bath and Tennis Club. He has been married to Mary Todd since 1985. He has two daughters from a previous marriage, Dana Donley Morton of Boulder, CO and Eliza Donley Nolte of Denver, four stepchildren (Bennett Goodspeed, Mary Todd Goodspeed, Emily Goodspeed and Jonathan Goodspeed), 13 grandchildren, and a sister Carol Lavery of Jacksonville, FL. In recognition of outstanding contributions to his profession and the Marquis Who's Who community, James W. Donley has been featured on the Albert Nelson Marquis Lifetime Achievement website. Please visit www.ltachievers.com for more information about this honor.